I can develop ideas and take part in projects to make things. Have you ever organised something like a bake sale or coffee morning? What were the different things you had to think about as part of the planning process? Perhaps you have taken part in an enterprise project like MicroTyco or Young Enterprise. 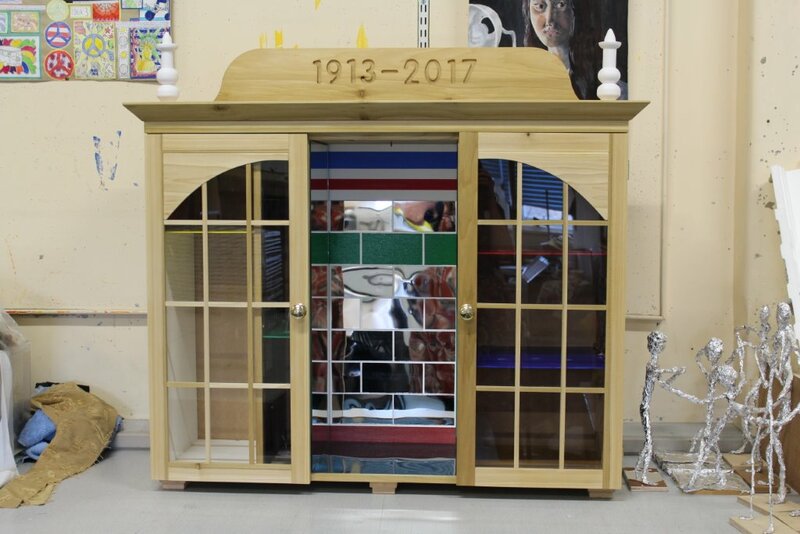 Think of any projects you have taken part in where you made something - perhaps in Art, Health and Food Technology or CDT in school or outside school with the Scouts, Guides or Youth Club. If you went to a job interview and they asked you to tell them about your role in a project you had taken part in, what would you say? 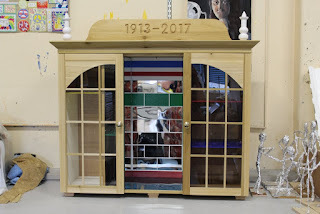 As an Activity Week project linked to moving to the new school building, a small group of pupils, classroom assistants, teachers and two former pupils who are now students of Art and Design in Edinburgh and Dundee, made and collected objects that they designed to fit in the sections of the cabinet. They found and made objects which will convey the spirit of Boroughmuir to the new school. The middle section which is mirrored is the resting place of a puppet the group made. The cabinet has spotlights and speakers housed in the roof. A pupil is going to make a soundscape. There is also a very short video, which is about the opening of the present Bouroughmuir, where a suffragette threw flour over the dignitaries at the opening ceremony.